Holy moly! You'd have to look long and hard to find a better deal than this. 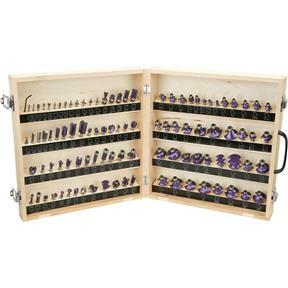 This set features 99 of our Super-Duty Purple Router Bits at less than three dollars a bit. 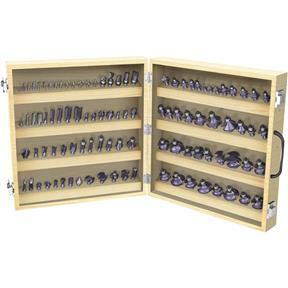 Plus, we've added a wooden case. Now that's a deal! 1/8" and 1/4" shanks.